Red might not be our all-time favorite shade, but, for celebrating Valentine’s Day in style, we don’t think it gets much better than chic pink! Nothing says “love” quite like a little dash of sweet pink. Pink flowers are such a welcoming statement at the front door of our friend Elizabeth from Pretty Pink Tulips! And pink in the dining room can’t help but add pizazz. 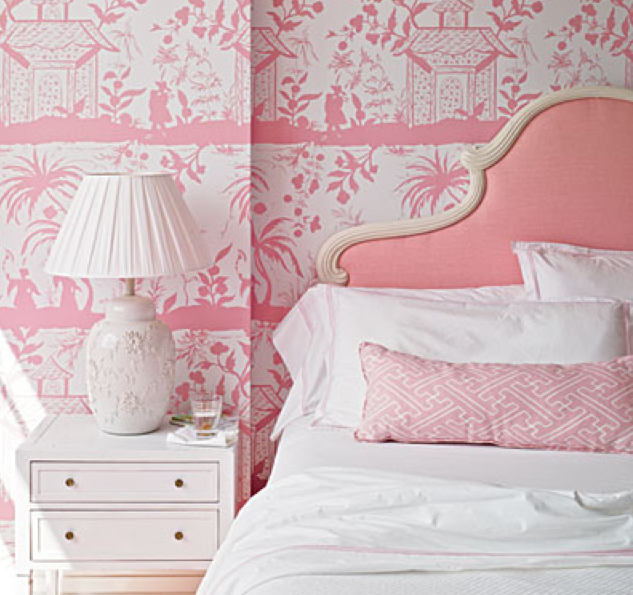 To a fun girl’s room that grows as she does, in any shade, from baby to hot, pink is always fresh and fun. What could possibly be better than lying by a sparkling pool on a perfect patio? Hot pink umbrellas, of course! It may be a cold Valentine’s Day, but just the sight of those pops of hot pink have us feeling like summer. From red to pink and everything in between, whatever color your Valentine’s weekend, we hope it’s fabulous!